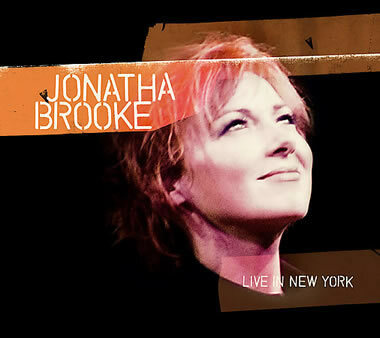 Since breaking through with The Story in the early nineties, Jonatha Brooke has become one of the most recognized pop singer songwriters of her generation. After The Story split, JB had major label deals that eventually ran their course, and she wasted no time establishing herself as one of the early front runners in the DIY indie recording scene. As a musician, she's very self-assured, and multifaceted. She does the moody complicated ballad and the groove single with equal aplomb, and leads a very talented band through the wide scope of her material. She's married to her manager, Patrick Rains, who established himself by helping catapult Al Jarreau to international notoriety, and together the pair have negotiated their way successfully through the minefield of Indie pop, creating a fierce fan base that continues to expand. This new DVD of JB's, Live In New York, is a fantastic way in to the world of this compelling artist, since it includes songs from many phases of her variegated career to date. You also get to know her band in performance and in behind-the-scenes situations. Check out the audio clips on the Listen page, and we're sure the interview will induce you to pick this DVD up for Xmas. She'll have a new CD out in a few months, so catch up with the career of one of the best in one fell video swoop, Live In New York.